a gift of service, adoration and thanks. and prepare for what will follow. in the balm of my own heart. no matter how others may judge them. How dare you! Who do you think you are? Stop! Leave her alone declares the Anointed One! It is blessing. It is beautiful. You are blessing. You are beautiful. Matthew, Mark, and John mention the location of Bethany and the woman as Mary, the sister of Matha and Lazarus. Mary is criticized for the extravagance of anointing Jesus with the costly nard rather than selling it and the proceeds given to the poor. In Luke, the location seems to be in the region of Galilee in the north. The woman is unnamed. Jesus himself is brought into question and criticized for allowing a sinner to touch him. 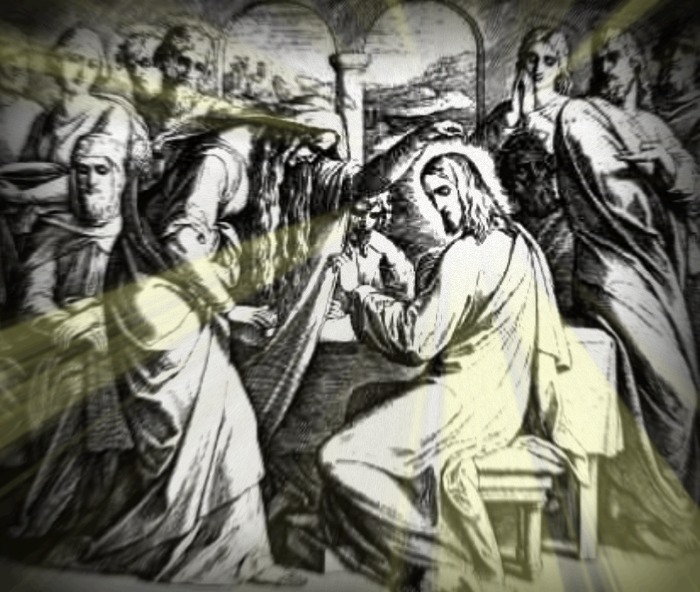 In Matthew and Mark, Jesus’ head is anointed. In Luke and John it is Jesus’ feet. The details are interesting, but do not miss the main points- the extravance, the courage, the thanksgiving, the grace, the blessing, the welcome. This is why we remember. 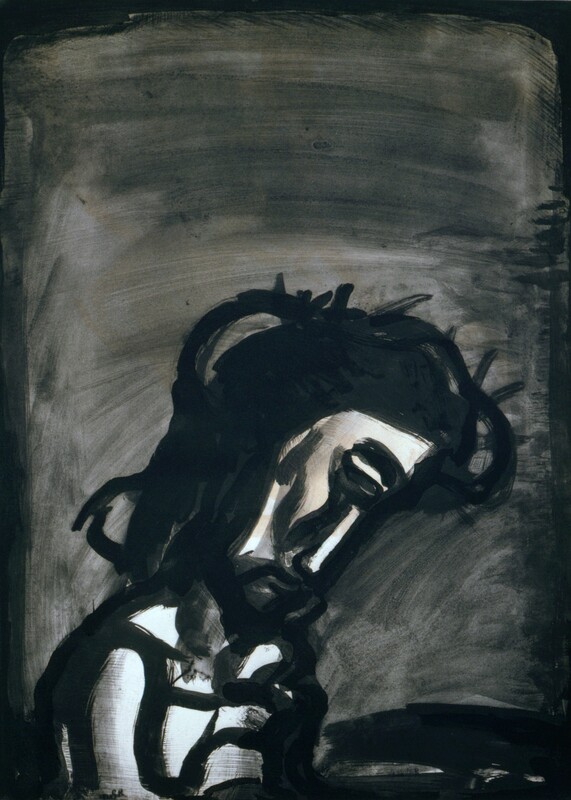 He was despised and rejected — a man of sorrows, acquainted with bitterest grief. We turned our backs on him and looked the other way when he went by. He was despised, and we did not care. Yet it was our weaknesses he carried; it was our sorrows that weighed him down. And we thought his troubles were a punishment from God for his own sins! But he was wounded and crushed for our sins. He was beaten that we might have peace. He was whipped, and we were healed! Were coldly nailing Me to the splintered stake of death. I put off all that is finite and tread on a land without borders. Burst forth, all the dark well-springs of my life! I will go into deepest sorrow that I may find my God. For sorrow is great in the world, mighty and without end. It has endured the weight of infinite love. Holy God, Holy Strength, Holy Immortal. Thou God under my sin, Thou God under my weakness, Thou God under my death. I lay my lips upon thy wounds – Lord, I lay my soul upon thy cross. ‘Twas I, Lord Jesus, I it was denied thee; I crucified thee.